Predictions of a ‘death spiral’ for companies in the power & utilities sector are overdone. 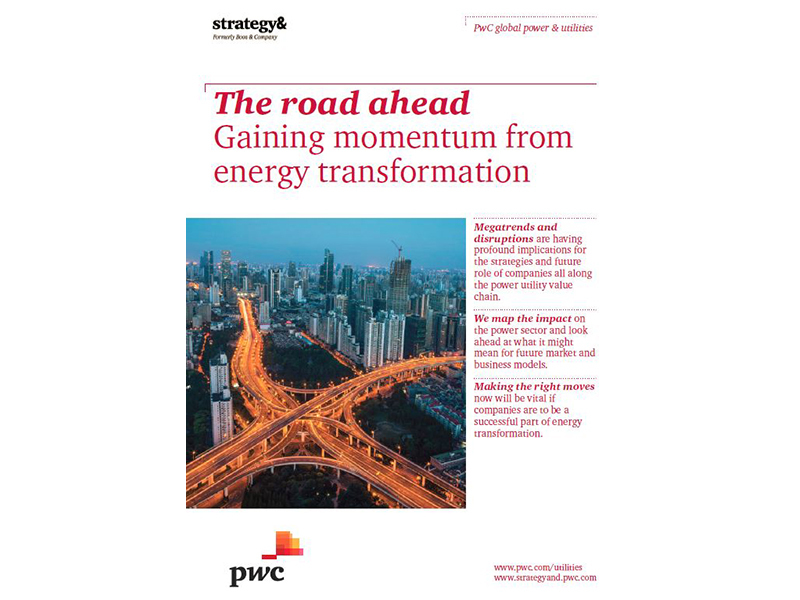 But a new report from PwC and Strategy& warns that the sector is transforming fast and companies that don’t stay ahead of change are in danger. New market models and new business models will become established as a result of energy transformation and could quickly eclipse current company strategies. Power utility companies risk losing out to new entrants from the world of online data and digital technology. Existing grid and network systems may be unable to rapidly evolve to meet the needs of decentralised assets delaying the adoption of advanced technologies. Green command and control – markets in which governments own and operate the energy sector and mandate the adoption of renewable generation and digital technology. Ultra-distributed generation – markets in which generators have invested in distributed renewable generation, with investment decisions based on policy incentives and/or economic business cases. Local energy systems – markets in which there is significant fragmentation of existing transmission and distribution grids and local communities demand greater control over their energy supply, or markets in which a local approach is adopted for serving remote communities. Regional supergrid – markets which are pan-national and designed to transmit renewable energy over long distances, requiring large-scale renewable generation, interconnectors, large-scale storage and significant levels of transmission capacity. Product innovator model – we anticipate that many product innovators will seek to be active players in electric vehicle charging, the provision of premises-based infrastructure and the management of roof-top solar and fuel cell markets. Partner of partners model - a ‘partner of partners’ utility will be a company that offers not only standard power and gas products and associated services, but also a range of other energy-related services. Virtual utility model – aggregating the generation from various distributed systems and acting as the intermediary between, and with, energy markets. The Road Ahead: gaining momentum from energy transformation is available for download at www.pwc.com/utilities​. ©2014 PwC. All rights reserved.